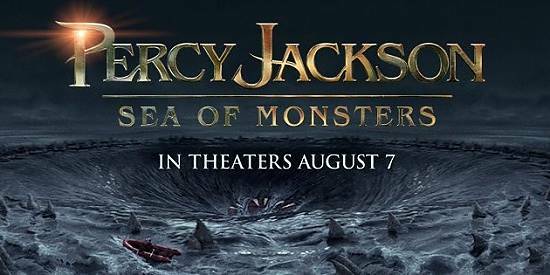 Opening August 7, 2013 in the USA and the UK, “Percy Jackson: Sea Of Monsters” follows the son of Poseidon and his friends making their way to the Sea of Monsters to get the Golden Fleece, a mythical tool that will help them fight an ancient enemy that is emerging. Directed by Thor Freudenthal and starring Alexandra Daddario, Logan Lerman and Nathan Fillion, the film is hyped up to be a nice Adventure/Fantasy movie that everyone can enjoy. Rated PG for fantasy action violence, some scary images and mild language, the movie stands to be successful like its first one. In this sequel distributed by 20th Century Fox, some critics are already worried it might not be as good as the first and that it is a waste of money. However, real fans of the books know what is going to happen and welcome the adaptation to their favorite book series. Based on the novel “Percy Jackson and the Olympians: The Sea of Monsters”, it will be interesting if they will be able to make a profit from the film. Are you excited for another part in the Percy Jackson saga?